The city of Gurgaon is an optimum destination for prime IT and Real estate industries. Owing to its high-tech environment, numerous job opportunities, modern world infrastructure and the presence of renowned business companies, Gurgaon has been attracting flocks of folks from all over the country. Not only as a prime business destination but Gurgaon has also become a premium destination for entertainment purposes. And, one such entertainment, business encouraging, social buzzing and recreational complex emerging on the popular Golf Course Extension Road is the AIPL Joy Central in Gurgaon. The Golf Course Extension Road is one of the poshest areas of Gurgaon, therefore, this area has a lot to offer to various commercial projects like this entertainment complex. The project is strategically located in Sector-65, Gurgaon with a 450 ft. frontage. 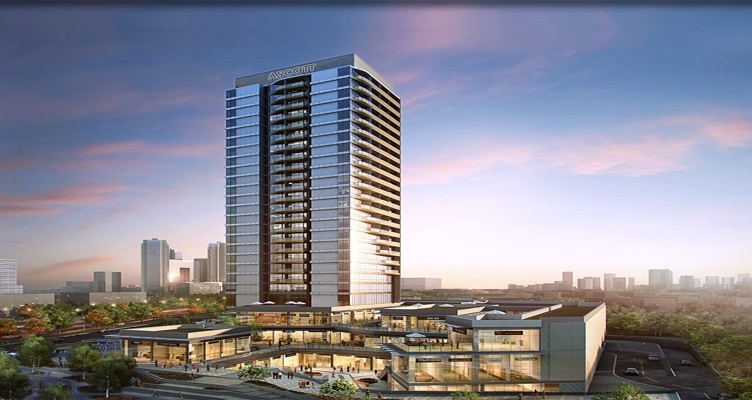 This high rise iconic landmark consists of 22 floors and is open from three sides. These are areas for high-street retail, food court, restaurants, ten-screen super-plex, ladies’ bazaar, and high tech office spaces with a separate entrance for office zones. 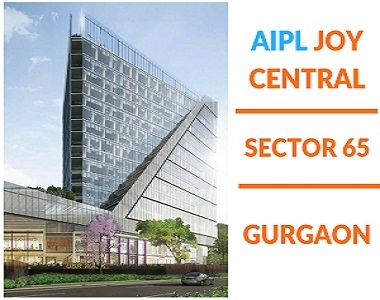 The Aipl Joy Central Gurgaon is a hub which renders premium luxury spaces with 200 retail spaces for stores and other commercial units on the ground and first floor itself. The second floor is a ladies’ destination, the ladies’ market on the second floor with a range of articles available will be one of the best markets in town. The food court in this complex spreads over 25000 sq.ft. on the 2nd floor. The theatres and cinema halls have an astounding capacity of 1600 people. The offices in this complex are grand and authentic which cover a vast area ranging from 3000 sq.ft. to 29000 sq.ft. The entrance lobby is a magnificent piece of architecture and its beauty welcomes professionals and the folks with a lot of enthusiasm. 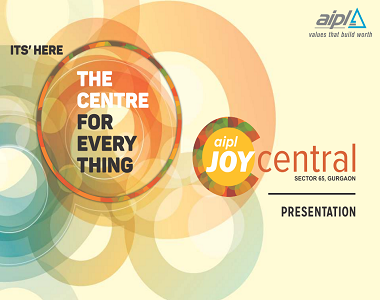 The Aipl Joy Central Price is available on request. With world-class infrastructure and such facilities, this majestic project is worth your investment. Moreover, its strategic location on the Golf Course Road is another striking feature of this project which makes it a very smart speculation.